Thanks for a pleasant read. 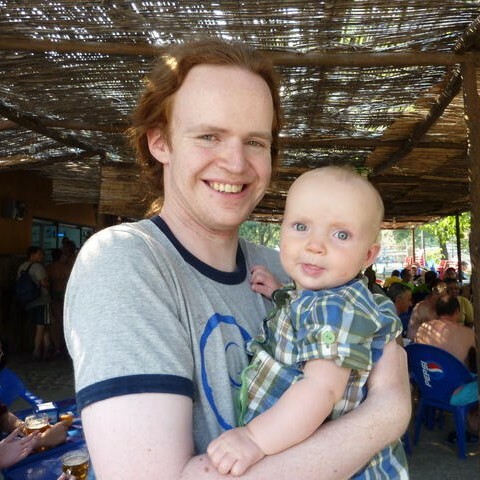 I think this sort of article would fit well on lwn; it leads to a more nuanced view of life. Colin Watson “not a high-profile in Debian figure”? Where do you live? @mmc, I meant that he’s not highly visible within Debian in general (except on some specific lists). I certainly appreciate his stellar work and would love to see more contributors like him. In fact, these interviews also help to show that Debian is not only the people that you see on mailing lists. Hihi, that was also my first reaction when I did start reading. Indeed, Colin is quite well known, especially for his enormous work in the release team a while ago, but granted, people seem to quickly forget about such things. But actually it seems that the people who have “a high-profile in Debian” are those that are pretty vocal – and most of the time because of that style received pretty controversal. Heh 🙂 maybe I should have said “is no longer a high-profile figure”. It’s true that release management gives you visibility in the community but that was many years ago now as Colin pointed out himself. That said, he’s much more visible on the Ubuntu side nowadays (he’s part of the technical board, you can’t miss him both on IRC #ubuntu-devel and on the ubuntu-devel mailing list). Colin is a bright mind, and he explains the Debian/Ubuntu relationship so well, and I really admire his contributions to Debian-Installer. I’m now hungry for more interviews. Thanks. A nice interview, thank you. Colin is a hero to me. The interview captures some of his amazing qualities. His genius intelligence, his diligence, his humility, and his generosity. Great article. 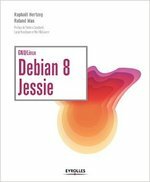 Very interesting to see some of the insights to debian’s development team. I feel lucky to have had some personal encouragement from Colin and others in the Warty days. I had had some disappointing early failures installing Slackware and then some success and failure with Red Hat, and then some very positive success with Debian. I had learned of Ubuntu and publicly expressed my skepticisms regarding it as a new Debian-child distro, and I received quick and positive responses that got me onboard with the goals. The Ubuntu community is much larger now and more diffuse and possibly more negative overall than in those early days, but I am glad I had the early encouragement. Great job and thanks for the Debian and GRUB2 work you are doing, Colin! Someone recently mentioned to me your help on a bug and I remembered you’ve helped me with GRUB2 in the past :). I help manage a medium-sized deployment of debian systems and as a debian-installer user, I deeply appreciate how quick and easy it is to deploy a fully functional debian system (often via pxeboot). Great work on d-i Colin and the rest of the team.